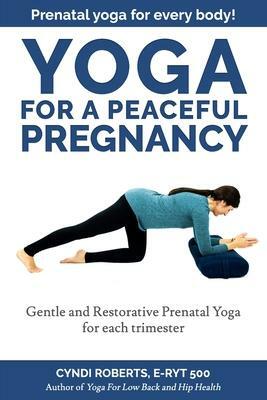 At over 350 pages, Yoga For A Peaceful Pregnancy is a comprehensive guide to prenatal yoga for each trimester. Build strength and stamina, ease discomfort, relax and flow through pregnancy with grace and ease! RELIEVE COMMON PREGNANCY-RELATED ISSUES: Morning sickness and nausea Fatigue Foot and leg cramps Headaches and dizziness Heartburn, indigestion and constipation Mood changes Tender or swollen breasts Swelling in feet and legs Low back pain Carpal Tunnel or tingling in hands Frequent urination Insomnia Braxton-Hicks contractions Pain in pelvis and round ligaments Shortness of breath Piriformis Syndrome and Sciatica The yoga we learn and practice during pregnancy gives us clarity, presence and strength to find joy on this journey-especially when we are most challenged and uncomfortable. We can always come back home to our practice, our breath and our bodies to navigate us through the waters of change and uncertainty. IN THIS BOOK, YOU WILL LEARN: How to strengthen and tone muscles How to stretch away tension and stress Deep relaxation that is safe for pregnancy About the energy centers in the body How to relieve common pregnancy discomforts Mindfulness, breathing exercises and visualizations Do’s and don’ts of yoga during pregnancy How to modify your practice for group classes Plant-based foods that nurture mom and baby How to ease into labor, delivery and motherhood More than ever, we need to be the glue holding the family together and self-care is the glue that keeps us from breaking apart. As the demands put on women grow-especially moms-the demand of a daily self-care routine must grow too!